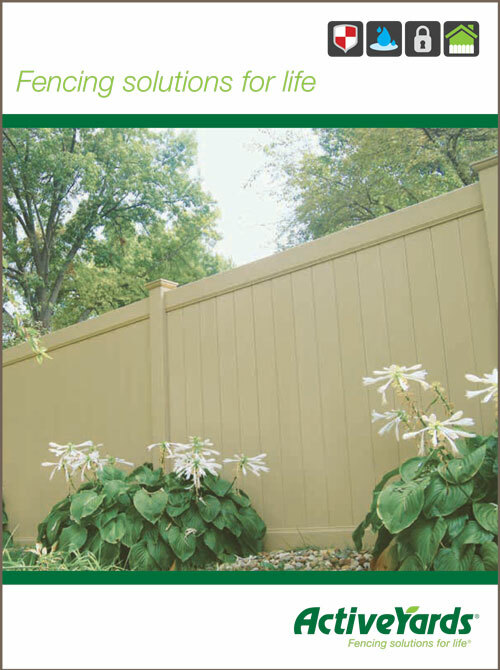 If you’re considering a vinyl fence, Fencing Solutions has exactly what you need. We help homeowners find the perfect fence for their lifestyle, and we’ll be right there with you to match you with a vinyl fence that fits your needs. Do you want all the benefits of adding a fence to your yard without the hassle of maintaining it? Vinyl fencing is one of the best choices for homeowners with busy lives who simply don’t want to be bothered with painting, staining, and finishing. You may need to hose off your vinyl or PVC fence once a year, but otherwise you won’t have to think about it. Therefore, homeowners often choose vinyl fence panels as a substitute for traditional wooden fencing. Vinyl fencing holds up against many weather conditions that are a threat to wood. Vinyl fences are not susceptible to moisture damage and will not rot or splinter, and they won’t crack or warp due to changes in temperature and precipitation. Plus, wood–boring insects have no interest in vinyl fencing. That means you don’t have to worry about termites or carpenter bees, which love tunneling in wood fence panels. Vinyl fences are easy to install if you want to do it yourself. Fencing Solutions provides ActiveYards vinyl fences for DIY projects, packaged into the EZ Fence 2 Go kit that makes installation a breeze. Our licensed contractors can also take care of installation for you. We provide a one year workmanship guarantee, so we’ll address any problems you encounter with your fence. ActiveYards’ warranty applies to their materials and kits such as EZ Fence 2 Go. If you’re considering a vinyl fence, ActiveYards has many solutions–from solid panel fences to classic spaced picket fences. Options for vinyl fencing even include split rail fence designs. ActiveYards vinyl fences are available in a variety of colors as well as at various price points. Get the benefits of a durable, visually appealing fence without dealing with maintenance when you choose vinyl fencing from Fencing Solutions. Contact Fencing Solutions if you’re ready for a new vinyl fence. and be there for you the whole time.